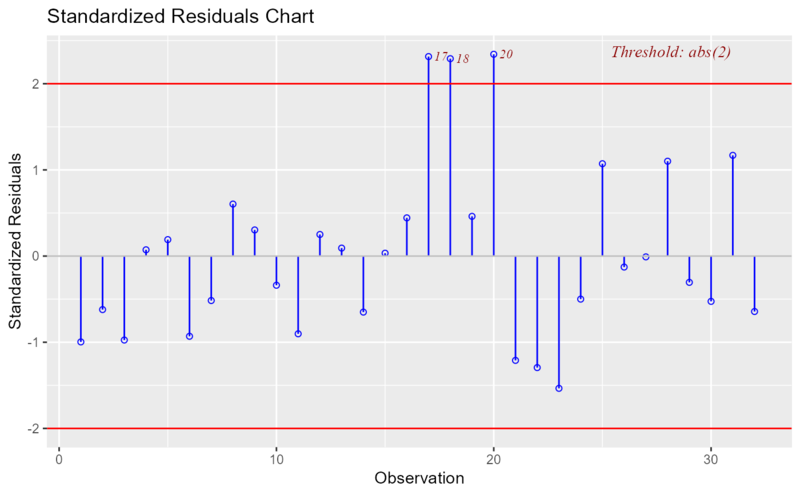 Standardized residual (internally studentized) is the residual divided by estimated standard deviation. ols_srsd_chart() has been deprecated. Instead use ols_plot_resid_stand().